Men have grappled with the decision ever since they started entering puberty. Should they grow a beard, or shave it all off and keep their jaws clean and smooth? As history has progressed, we’ve seen epochs where few men would be seen without a healthy helping of facial hair, and then other decades where most men thought having a beard was grungy or unkempt. Nowadays, both options are equally viable. There are men who both sport beards and who remain clean-shaven who are admired by many, either as models, actors, or CEO’s. The options are limitless, but you’ll still need to answer for yourself whether or not you’ll grow the beard that’s just waiting to be let free. In this guide, we’ll go through the pros and cons of each option so you can decide for yourself which style suits your personality and face. Let’s first dive into what each requires to look good. Let’s look at how much effort is involved in either choice. It’s not so simple as you might think. Beards take some time to grow, first and foremost. For some men, this is easy as waiting a day or two without shaving. Suddenly, without even trying, they’ve gained a face full of hair! But for men on the other end of the genetic pool, waiting for a beard to grow in can be a matter of months of patience. Once the beard is grown, it still requires upkeep and maintenance to be attractive. Merely having a beard doesn’t make you look good. Instead, having a well-kept and trimmed beard is a sign of maturity and thoughtfulness about your appearance. 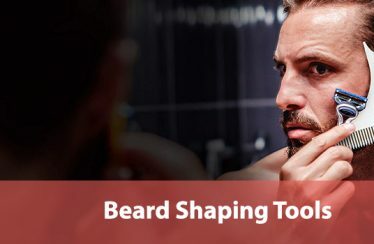 To that end, you’ll need a kit of grooming supplies to cut your beard as it continues to grow to ensure that it stays at the length you want it at. Beards also require daily washing and oftentimes their own separate hygiene products for use in the shower. Hair shampoo isn’t always going to cut it when it comes to your facial hair. 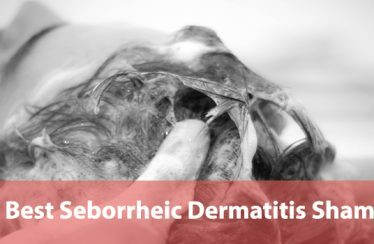 Both this factor and the additional time it takes to trim mean that you might spend a significant amount of your morning grooming than you might otherwise. Don’t forget to factor in the cost of these products, too! 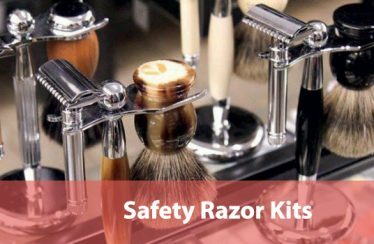 Lotions or conditions will require repurchasing while getting a good kit needs some researching or a good buying guide to make sure you purchase something worth your time. Clearly, growing a beard isn’t the end of the story. A good beard is a long-term commitment! On the contrary, being clean shaven means consistently applying a razor to your face when stubble starts to grow unwieldy. For some men, this is a once-in-a-while thing since they don’t grow a lot of facial hair. For others, it’s a daily chore that extends their time in the bathroom. Staying clean shaven means always having a good razor nearby, and these require replacement. You’ll also want to invest in a decent can of shaving cream unless you want your face to turn red like some of the kids in junior high. 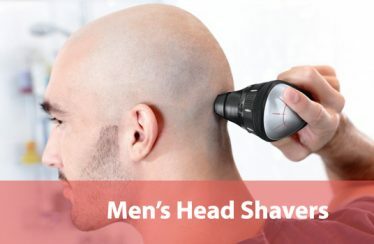 In addition, your facial structure might not be sharp or masculine enough to effectively pull off the clean-shaven look. Men with wide jaws can ignore facial hair because keeping clean cheeks enhances their overall appeal. Clean-shaven men have one final factor to consider, and that’s acne. Bearded men get acne just as much as shaved, but their spots are hidden by their hair. If you’re set on going clean-shaven, you should remember to wash your face thoroughly every day to reduce the chance of pimples or other acne signs that can blemish your look. Whether or not you look better with or without a beard depends on how you see yourself in the mirror. Beards have a bit of a leg up on the clean-shaven side, here. After all, there’s only one way to lack a beard. However, beards can come in all sorts of shapes and styles. There’s an almost infinite number of ways to style the hair on your face. No matter how crazy your idea for a beard is, you can bet that someone has sported it before and made it look cool. There are different beard styles for color, thickness, and length. While these have varied in their popularity throughout history, the fact that you can choose how to present your beard to the world adds a layer of expression that clean-shaven men don’t have. You can affect how people see you in public much more directly than you could without facial hair. On the other hand, the clean-shaven look will always be in style. It’s a traditional appearance because it’s the default state of all men, who only gain the ability to grow facial hair as they age. Even then, some men can only add to a beard slowly. No matter how fashion changes as the decades roll on, a shaved face will always be an acceptable way to go to a party. You might look at the beard v. no beard debate in this light. Without a beard, you’re guaranteed to fit in no matter how old you get. But with a beard, you might need to adjust your style unless you want to stick out. You might like the idea of a full, bushy beard that coats your whole face. However, there are many styles that are considered classical or modern that only require part of a beard. 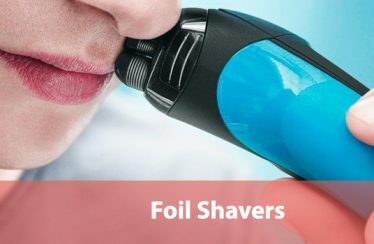 These offer a mix of both styles since they don’t require quite as much upkeep as a well-trimmed full beard but don’t need as much shaving as a clean-shaven man. Mustaches, goatees, and similar styles focus the eye to the mouth and nearby area. These are styles of facial hair that require good trimming ability and a steady hand since it’s easy to cut yourself with a razor as you slide it around your chin. Most people would admit that bearded men look older than they often are. This can be either a good or bad thing, depending on your actual age! Many young men tend to grow beards as they try to accelerate their maturity and strive to be taken seriously in the workplace or their social spheres. If you have a naturally-youthful face, you might have considered doing this at one point yourself. Beards can hide the softer angles of your face and seem to intensify a man’s eyes and brow. On the other hand, shaving can often reveal sharp jawlines or wide mouths, both traditionally-masculine qualities. Shaving is often used to appear more youthful, however, since it reveals more of your skin and is more reminiscent of younger men who haven’t fully grown into their adult bodies yet. If you’re an older man, you might have considered shaving to regain some of the youthful appearance you left behind. Beards do affect how people perceive you. Ideally, you should critically examine your own face and decide if it’s naturally youthful or will age greatly in the years to come. Then you can decide whether or not to apply the aging factor of a beard to your general look. Finally, there are more esoteric factors to consider when it comes to this decision. You’ll get opposing views from various sources, but the fact remains that beards are a huge variable that changes how people think about you. For instance, there are some people who think that women and men find men with beards to be more attractive. While this no doubt varies from person to person, it’s something to keep in mind if you’re young and on the market for a partner. Of course, you might run into someone who detests beards, so there’s no real way to know unless you ask! People can also change their perceptions of men based on their facial hair. Clean-shaven men are sometimes thought to be kinder or more thoughtful than their bearded counterparts. On the other hand, bearded men seem to have a boost to peoples’ presumptions about their intelligence. Like glasses, some folks think that if you have a beard, you must be smart! There is no universal reaction to being bearded to having a shaved face. However, it’s important to weigh these potential reactions when you’re deciding on how to present yourself to the world. What kind of person do you want to seem? How do you want people to see you in the street, or as they get to know you? So what will it be? Beard, or no beard? That is the question! The good news is that for as long as people have argued over this question, there’s never been a totally right answer. What fits you best is the perfect choice for you. Want to rock a crazy beard? Go for it! Too lazy to bother with all the upkeep? Stay clean-shaven! Either way, you can make the most of your appearance and exemplify the type of masculinity you want to embody so long as you put forth the right effort. What is a Lob and Should You Get One?